Uniquephones to bring the iPhone to Europe early? Belfast-based company Uniquephones has said that it is very close to unlocking the Apple iPhone. The news follows predictions from hackers that the Apple iPhone would be hacked into and unlocked within the week . Uniquephones has been working non-stop in several countries since the Apple iPhone launch last Friday. It intends to crack the device so that it can be used with operators other than AT&T . John McLaughlin, founder of Uniquephones , said the firm was close to having an application that would enable it to unlock the iPhone. The application would allow SIM cards from operators other than AT&T to activate the phone, Infoworld.com reports. This would mean that Europeans would be able to use the Apple iPhone months ahead of the launch over here, later this year. 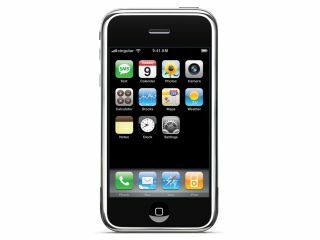 By Sunday night, just two days after the Apple iPhone was launched, some 150,000 inquiries had been submitted to the iPhoneunlocking.com website. This was set up especially to request IMEI numbers from Apple iPhones purchased, McLaughlin said. Many wanted to know how to unlock their Apple iPhones - although not everyone was willing to reveal their IMEI number, the ID number for their mobile phone device. There are at least two steps to unlocking the Apple iPhone, according to McLaughlin. His colleagues have been able to unlock the activation process to the AT&T SIM card specific to an Apple iPhone. This means that another AT&T SIM card can work with the phone and be activated through iTunes. But so far any attempt to change the firmware of an iPhone so that it can support another operator's SIM card has broken the device, McLaughlin said. The key to unlocking the phone is breaking the encryption process that protects the token sent through the iTunes activation process to an iPhone's firmware, he added. McLaughlin plans to charge around £25 to unlock the Apple iPhone. AT&T currently has an exclusive deal with Apple , and customers must sign up for a two-year service plan with the firm. Many have criticised AT&T's wireless service for being slow.